So my challenge to you and myself is to write more poetry. Take it to the extreme and join the 30/30 challenge, or just carve out a small chunk of time to devote yourself to the word once or twice a week. In addition to being fun and creative, it can also be very therapeutic and healing. Try it! Also, if you want to go out to see and hear some great poetry, here are some upcoming opportunities in DC. My students and I will be leading tours of the Poetic Likeness exhibit and conducting writing workshops prior to an open mic for young people. We’re throwing another carnival full of wild rides and fun poetry games. Hosted by yours truly every 3rd Wednesday of the month! 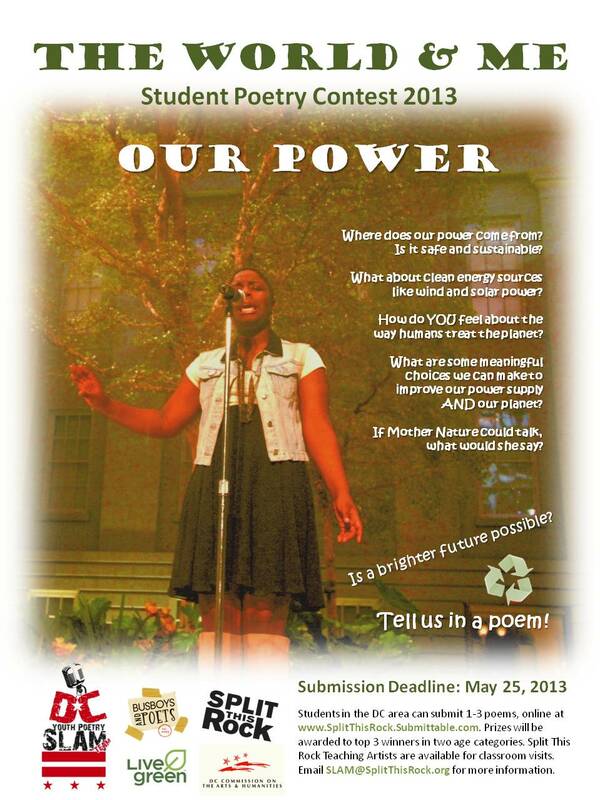 Featuring 4 Swedish Slam Champions, and co-hosted by the talented teens of the DC Youth Slam Team.